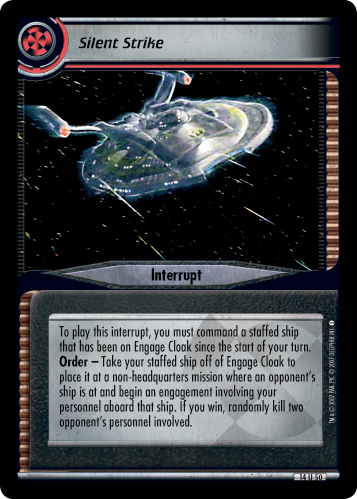 To play this interrupt, you must command a staffed ship that has been on Engage Cloak since the start of your turn. 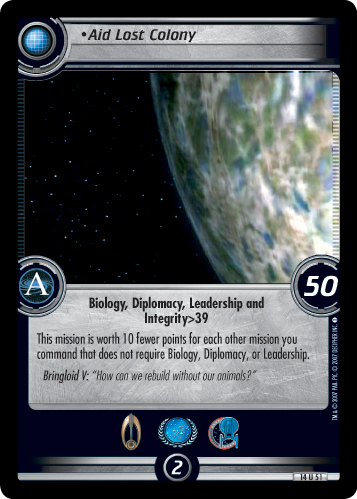 Order - Take your staffed ship off Engage Cloak to place it at a non-headquarters mission where an opponent's ship is at and begin an engagement involving your personnel aboard that ship. If you win, randomly kill two opponent's personnel involved.